The Thomas Jefferson Independent Day School’s addition of the Humphreys Arts and Student Life Complex included administrative offices, arts and music classrooms, general classrooms, a library, a dining facility and a theater. 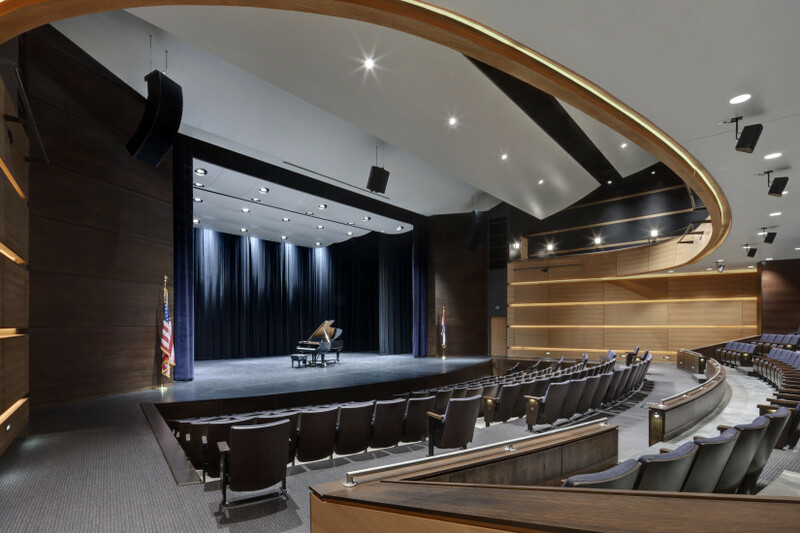 SM&W acousticians isolated the theater from surrounding circulation space with appropriate partition constructions and detailing as well as door selections. We determined reverberation time (RT) criteria to best accommodate its intended uses. We also performed detailed calculations and acoustic ray tracing studies in order to establish ideal room shaping, performance requirements and location of room finish materials. The resulting design achieved natural sound quality and even distribution, and it met the target RT goals. 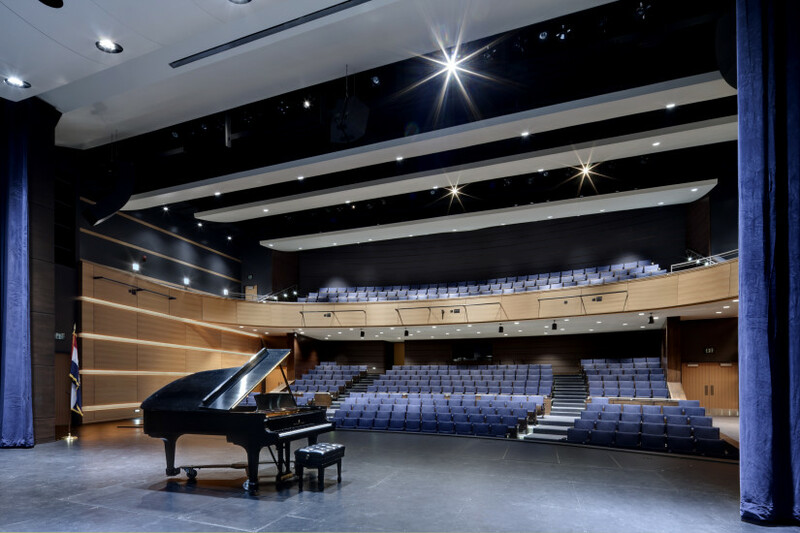 We provided the same design input in the instrument, choral and ensemble rooms, allowing musicians and vocalists to hear one another during practice session. The design in these rooms prevents sound buildup and reverberation, which can create uncomfortable listening levels for performers. We also isolated the spaces from one another for simultaneous usage.